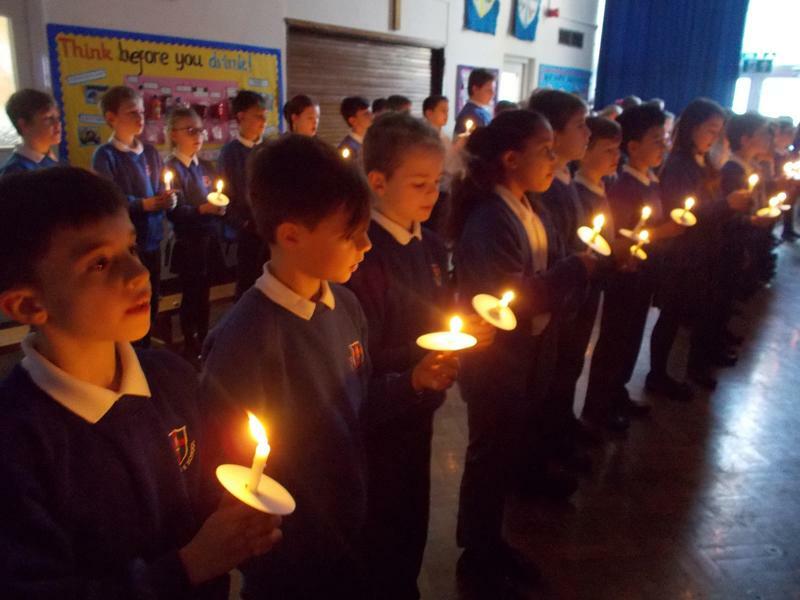 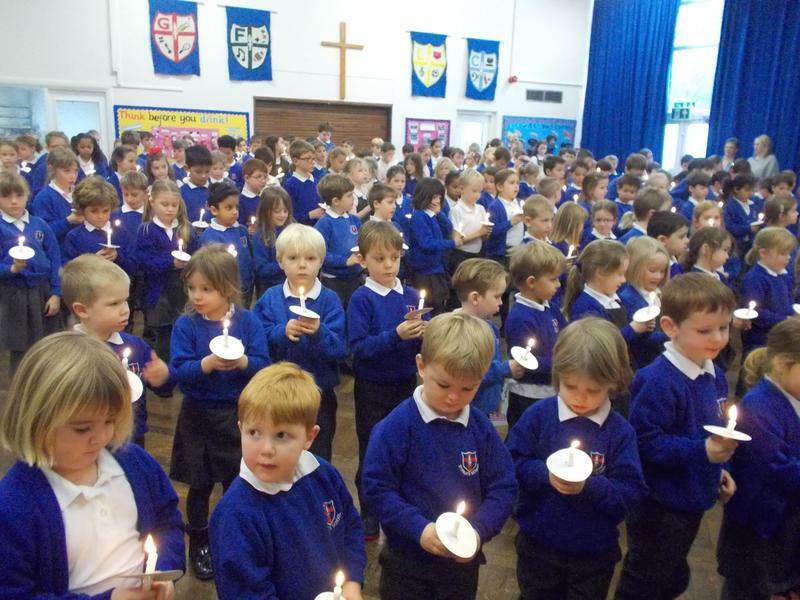 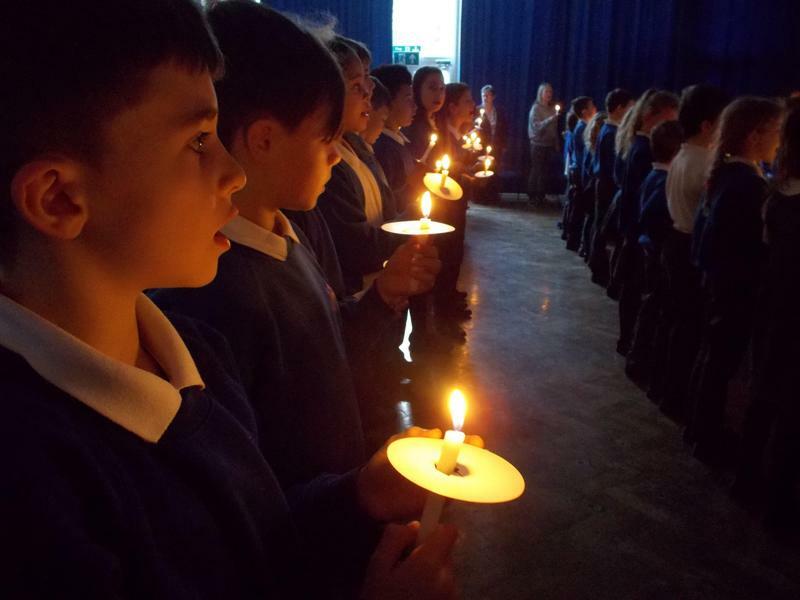 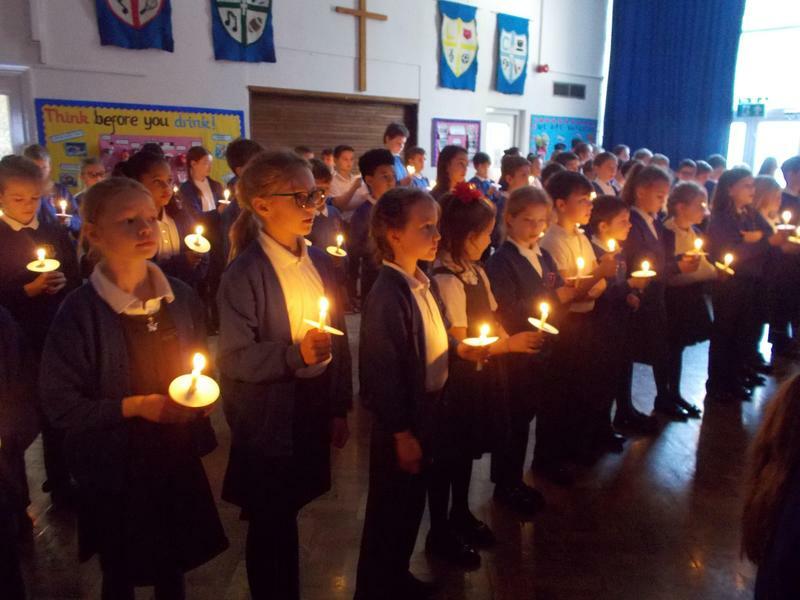 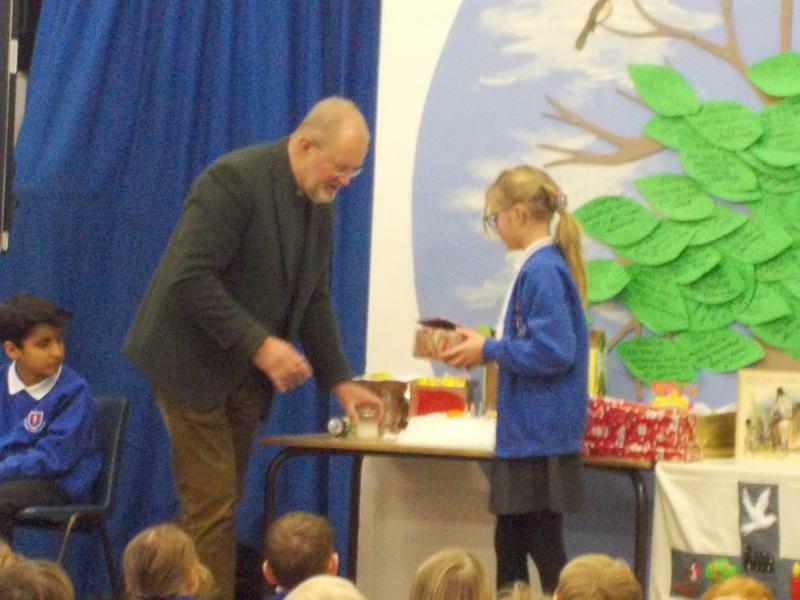 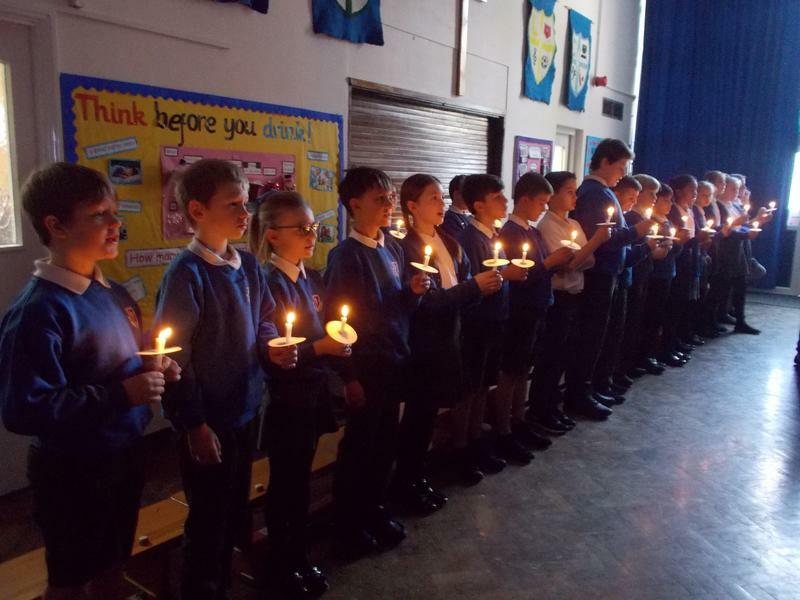 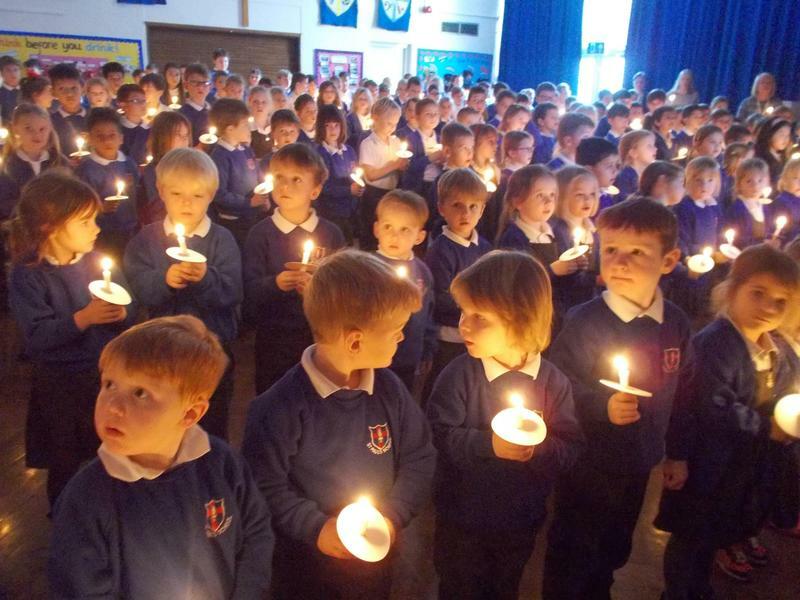 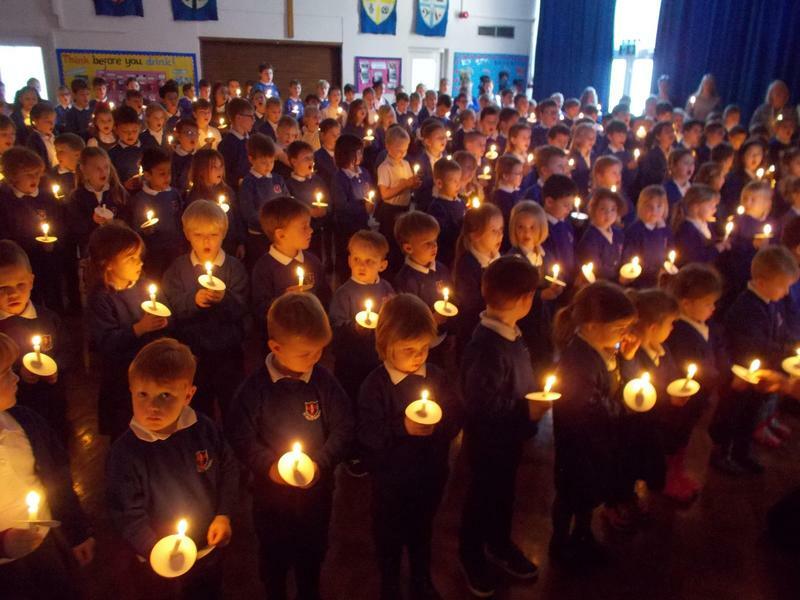 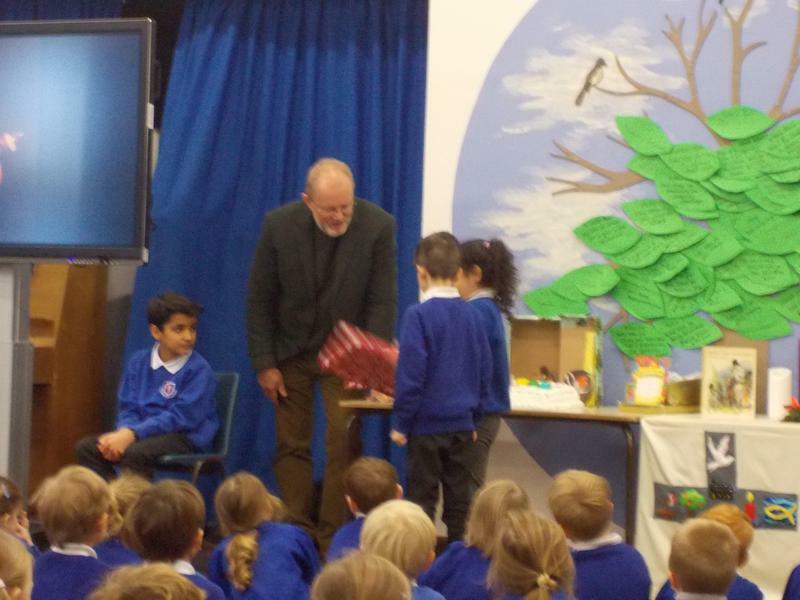 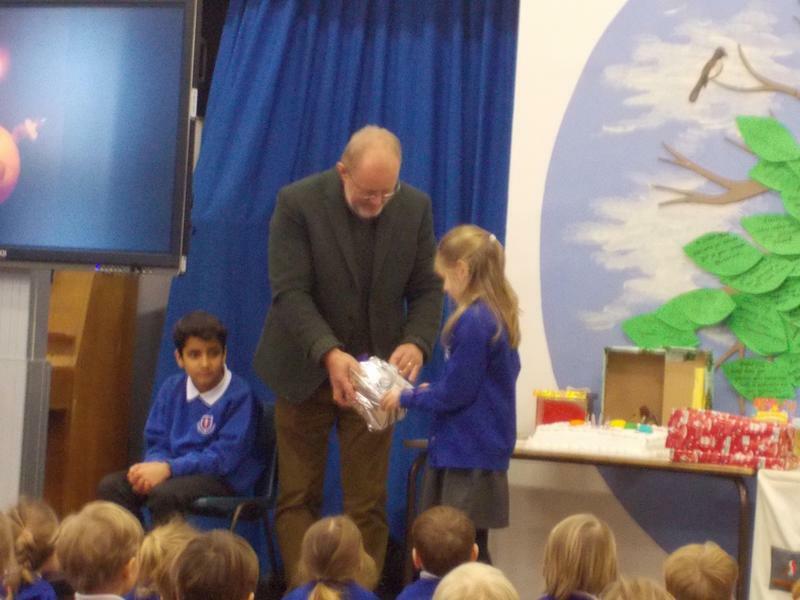 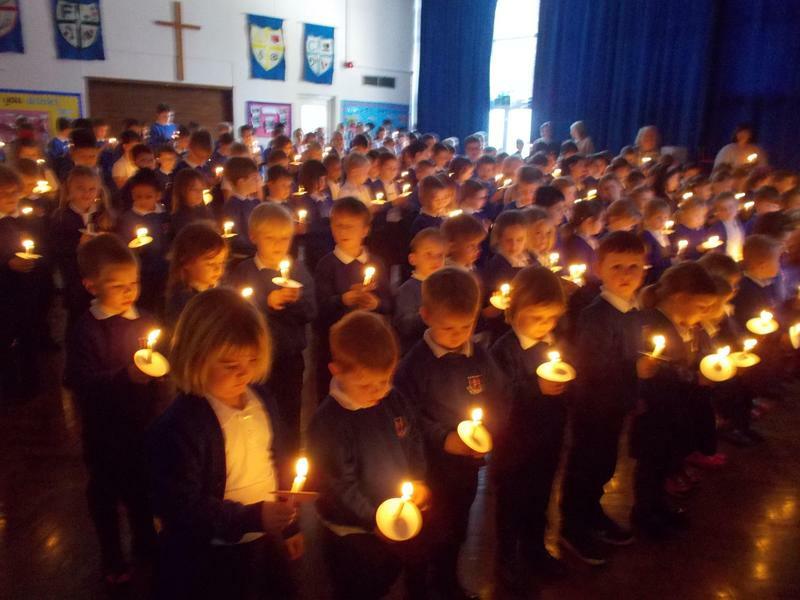 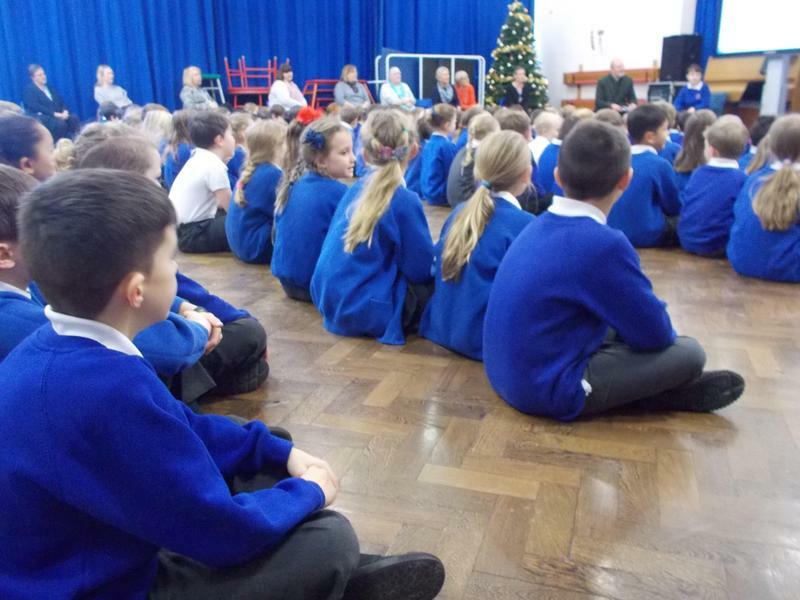 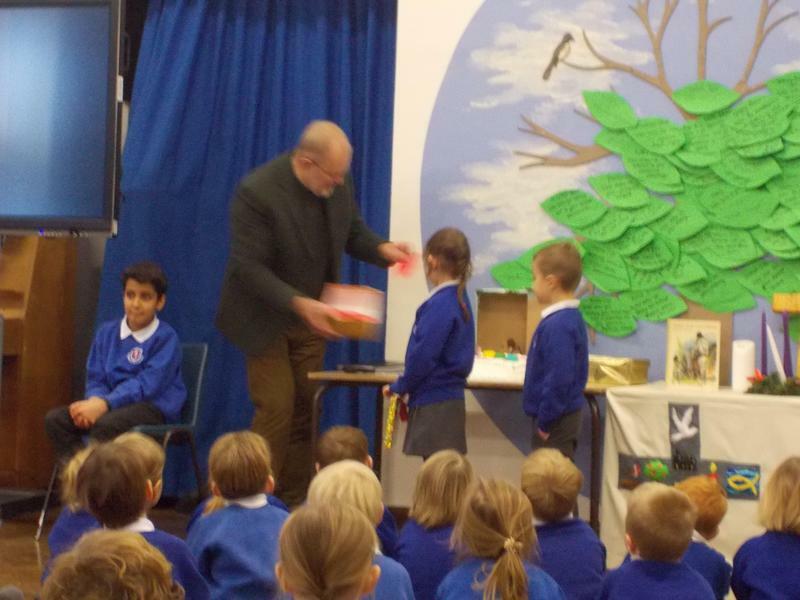 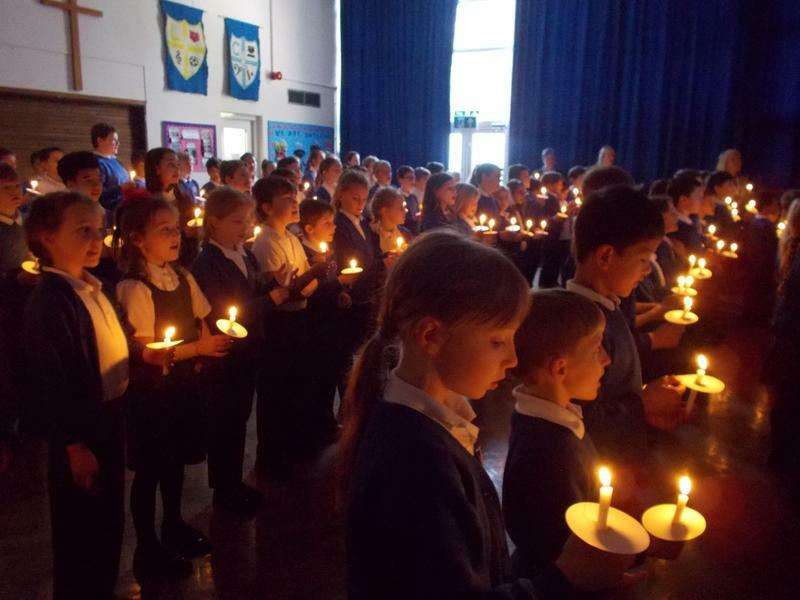 For our final service of the term with Reverend James, the children learnt about the reasons why Jesus, as the light of the world, has a birthday celebrated every year by millions of people around the world. 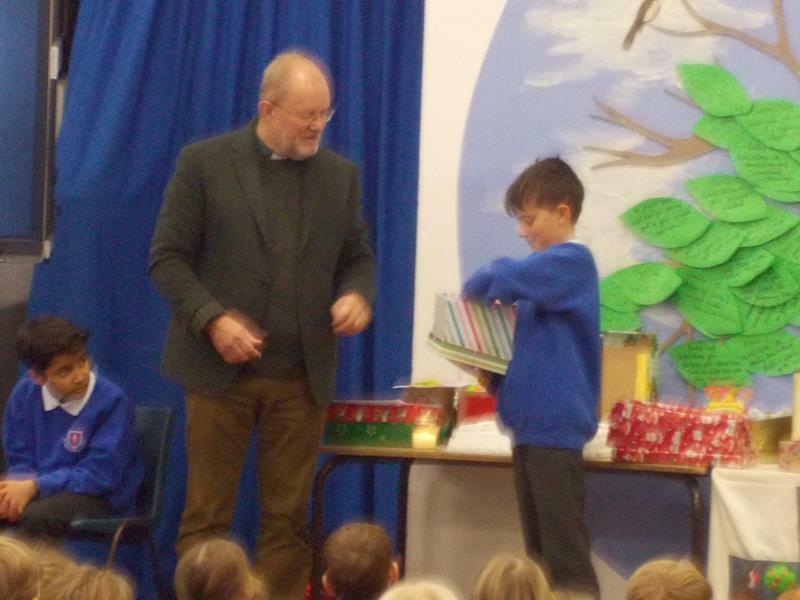 Every class made a gift for Jesus and wrapped it up before sharing it with the school. 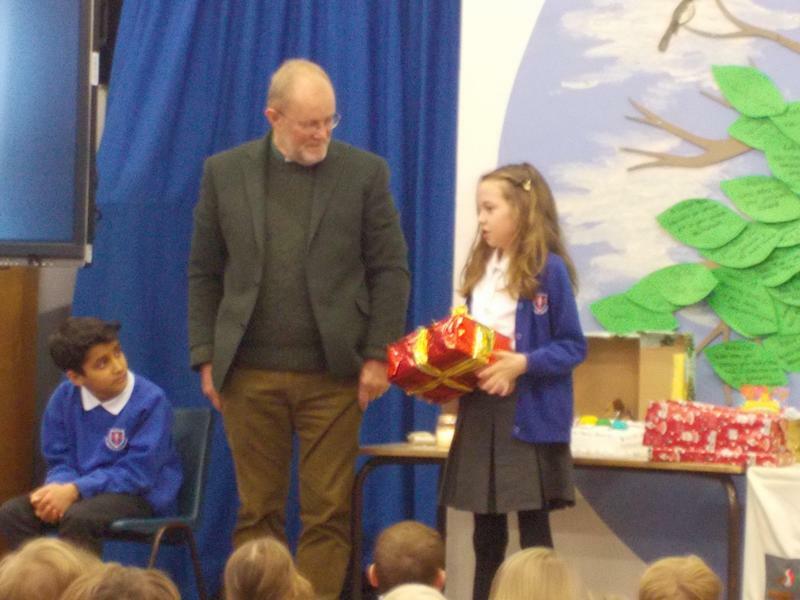 A variety of gifts were made from joy and love to a blanket and images from the Old Testament. 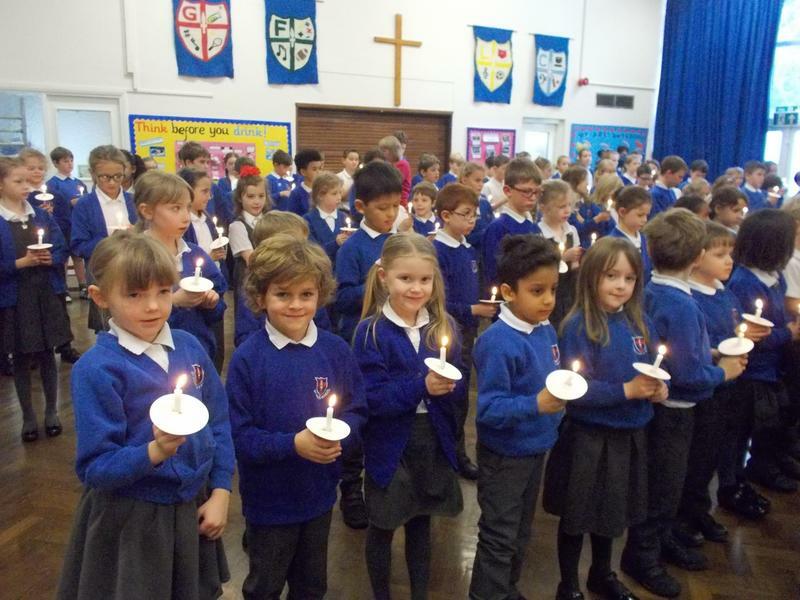 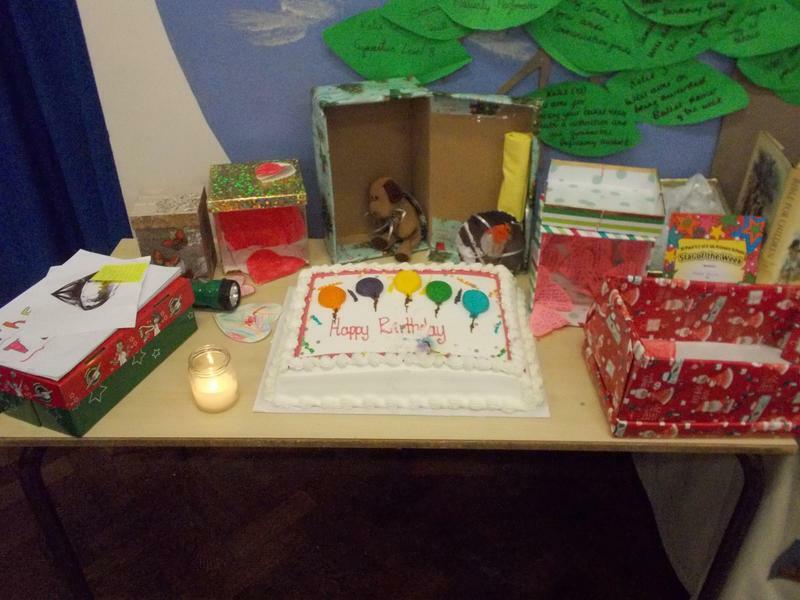 We celebrated Jesus' birthday with cake and magic candles and sung by candle light to finish. 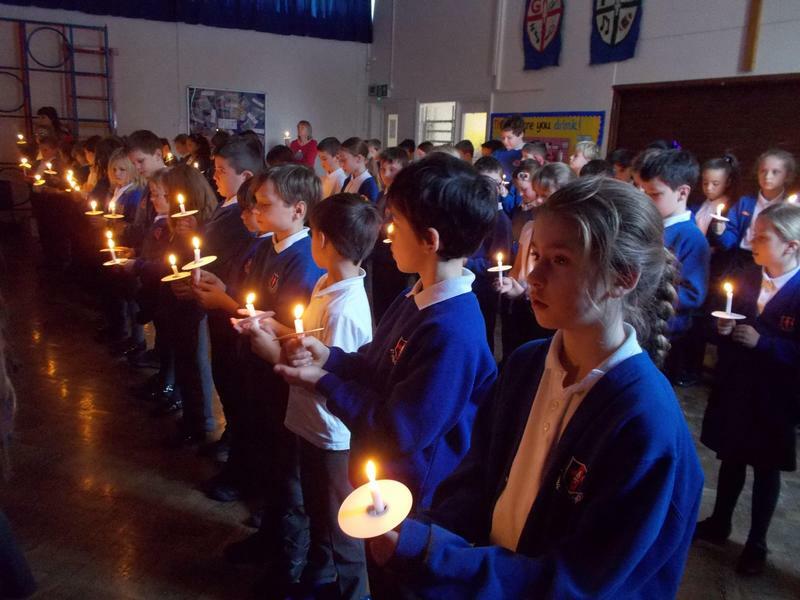 The service was very moving and reflective at this busy and special time of year.